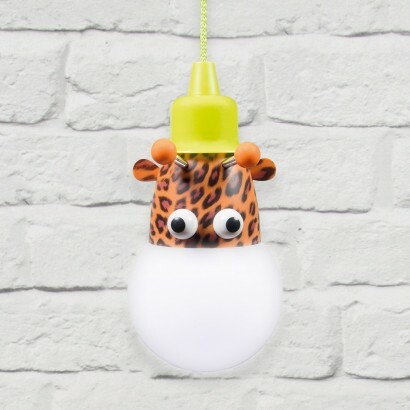 A very cute and versatile lamp for kids, this giraffe pull light is IP44 rated waterproof making it suitable for use both indoors and outdoors! 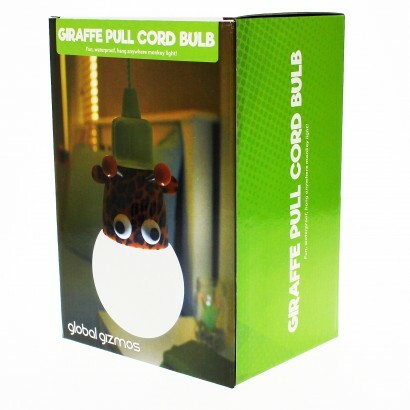 The end cap of the bulb is decorated to resemble a sweet giraffe giving a friendly face to your child's lighting and because it's battery operated, it can be placed anywhere to shine with a comforting warm white glow. The simple pull on/off function is ideal for kids decorating their bedroom, nursery and outdoor den's and wendy houses!